The texts assembled on this site illustrate the history of the English highwaymen. 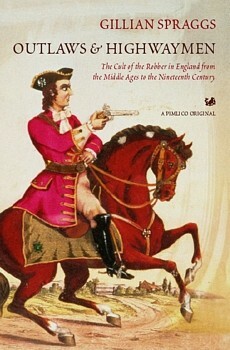 I set up this website in 2001 to accompany the publication of my book Outlaws and Highwaymen, a social and cultural history of the English highway robber. You will find here many of the sources that I cite in the text and notes. But the website is meant for anyone who is interested, not just the people who have read my book. A good place to start is the outline history of the outlaws and highwaymen. On the other hand, you may prefer to go straight to the contents page, to look up stories, ballads and other kinds of material. Or you can browse the new picture gallery. I hope that you will find plenty to enjoy. You may like to visit my LiveJournal. I use it as a serial anthology for passages of prose and poetry that catch my attention. My other website, www.gillianspraggs.com, contains some of my poems and translations. You are cordially encouraged to link to this site.